What’s it like being owned or invested in by Jeff Bezos? The answer to the first question is that it’s great. Any company that cares about building great products and services could not ask for a better investor than Jeff Bezos. He’s patient and brilliant and he leads by example: If you ever have a question about how you should do something, you just look at Amazon. Unlike the typical financial investor, moreover, Jeff Bezos is focused on the long term. Any time there’s an opportunity to reinvest would-be profits today in an exciting project that might pay off tomorrow, Jeff Bezos will take it. And when he’s an investor in your company, you’ll feel like you should take it, too. So, anyone rooting for the Washington Post to transform into a successful digital business should be thrilled that Jeff Bezos is buying it. (Anyone hoping the Washington Post will never change, meanwhile, should find some other status quo to cling to. The status quo at the Post is dying with or without Bezos). But I’m happy to speculate. Well, for one thing, digital news and ecommerce businesses can be something that no traditional competitor can be: Infinitely broad and infinitely deep. Stores and traditional media properties are limited by space constraints: They either have to be specialised, like Best Buy or a Automotive Week, or, generalists, like Walmart or the current Washington Post. Digital businesses don’t have those constraints. They can be both broad and deep. Another similarity is that digital news and commerce businesses can be deeply personalised. Just as every return visitor to Amazon sees a different front page, every return visitor to a news site can be presented with a different story selection. A third similarity is that, in commerce and media, you don’t have to own the whole market to do well. Tech businesses tend to be winner-take-most. Media and commerce, meanwhile, are vast, fragmented businesses in which a small market share can eventually become a big business (so you don’t have to totally dominate to win). Lastly, I’d guess that Jeff Bezos thinks there are many ways in which the news business might be complementary to Amazon. How might the news business be complementary? 1. Amazon is already in the content production and distribution business–and news is just another kind of content. Amazon distributes massive amounts of print and digital media. The content the Washington Post publishes and distributes could be bundled or distributed with that content. And, similarly, the content that Amazon produces–mainly commerce-related, but increasingly media–could be integrated with the Washington Post’s content, offering more choices for customers and consumers. 2. Amazon is already in the subscription and media-gadget businesses. Subscribers to Amazon’s “Prime” delivery service already get to watch free movies and TV shows. Amazon Kindle buyers already have access to free books. It’s easy to imagine that Prime subscribers and Kindle buyers will soon have convenient, free access to the Washington Post–and that this access might make a Prime subscription or Kindle membership more valuable. Washington Post reporters, meanwhile, could produce an endless supply of ebooks and Kindle Singles. And Jeff Bezos also appears to have gotten a reasonable deal. Bezos is buying the Post for 0.5X revenue, or 2.5X digital revenue if you treat the print business as worthless. The digital revenue, is growing. 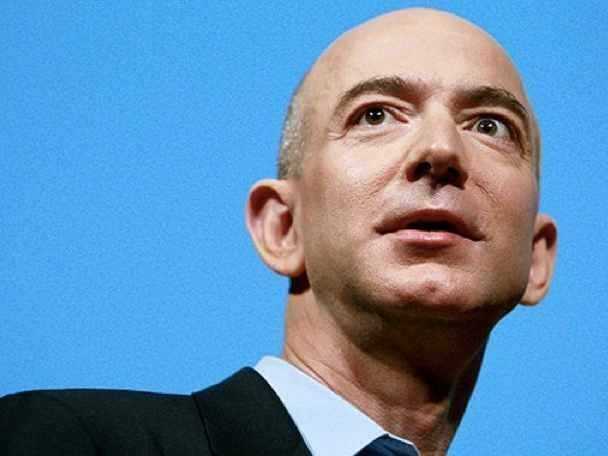 Given that the Post is currently losing about $US50 million a year, Bezos’s ultimate price tag may be considerably higher. But whatever he decides to do with the Post, it seems unlikely that he’ll just perpetually bleed money away.